Woodland Elementary School, 1410 So. 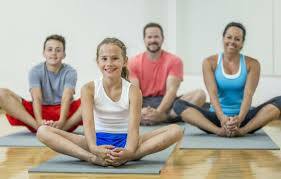 McKay Ave.
Bring the whole family to learn and enjoy the basics of yoga! Increase flexibility and coordination, strengthen all muscle groups, and learn to calm your body through deep breathing. All ages and abilities are welcome and children ages 12 and under attend for FREE!